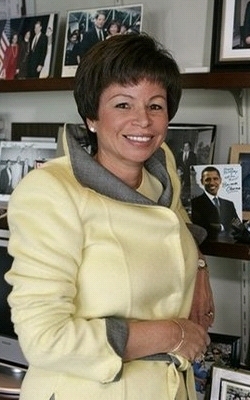 Valarie Jarrett, White House Senior Advisor and Assistant to the President for Intergovernmental Relations and Public Liaison. 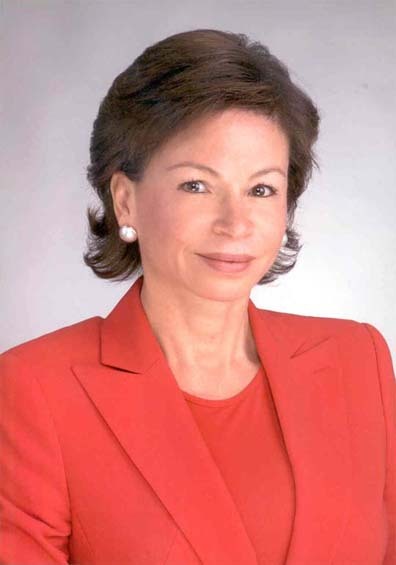 Valerie Jarrett, White House Senior Advisor and Assistant to the President for Intergovernmental Relations and Public Liaison (was co-chairwoman of the Obama transition team): B.A. (Psychology), Stanford University; J.D., University of Michigan Law School. The buzz around Valerie Jarrett: News coverage of Jarrett’s appointment has focused on what the New York Times refers to as her “fierce” and almost “familial loyalty” to the Obama family. Coverage of her qualifications usually lists her undergraduate and graduate degrees as indicators that she brings the same level of preparedness to her work on the White House staff as the Chief Executive who hired her. The Times also takes time to mention that her daughter is a student at Harvard Law School. This helps to portray Jarrett as one who creates and supports a culture of high achievement both for herself and for those in her care. Relatedly, some media coverage has focused on the academic and professional achievements of her forbears. Among the family members described in an October 2008 feature story on Vogue.com is, “Her maternal great-grandfather Robert Robinson Taylor […] the first black person to graduate from M.I.T.” For a time, there was some low-level buzz that the Obama administration was obscuring her Iranian heritage. Jarrett was born in Iran to reknown Black educator Barbara Bowman and Dr. James Bowman, a noted African American physician. At the time, her father was involved in humanitarian work in that country. Young Valerie grew up speaking Persian and French, as well as English. Check out: “The New Team – Valerie Jarrett,” in the New York Times; “Barack’s Rock,” at Vogue.com; “Inside Obama’s Ear: What’s She Telling Him,” in The Chicago Tribune; Meet the Press transcript for November 9, 2008, MSNBC.com; “Who Is Valerie Jarrett,” on the Pamela on Politics blog at BET.com.